Incorporated on January 1, 2005, Amistee Air Duct Cleaning has now served thousands of residential and commercial customers in Michigan. We have recently moved to a new facility in Novi, MI due to the overwhelming growth we have experienced. It was time for a facility to better suit our needs. 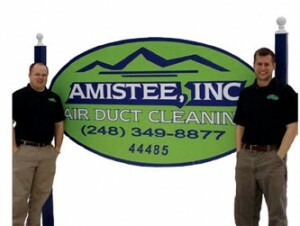 The owners of Amistee Air Duct Cleaning are Mike McCowan and Steve Dickinson. Both are engineering graduates of Michigan State University. Following graduation they opened Amistee to help the millions of homeowner and business facilities fight the constant problem of Indoor Air Quality (IAQ). 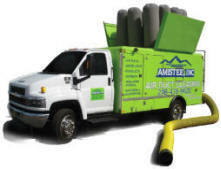 From the beginning Amistee has done one thing and one thing only which is premium and professional air duct cleaning. We constantly strive to be the absolute best and have the most qualified technicians in the industry who help us achieve this goal. We work with the very best Heating and Cooling and Restoration companies in the state of Michigan. Our partners rely on our expertise to give their customers the most professional, pleasant experience available. Our partners trust us to do a great job and have a sense of pride knowing their customers are getting the “Amistee experience”. And knowing that air duct cleaning is all we do is comforting to them all. NADCA (National Air Duct Cleaner’s Association) we are constantly involved with what is going on and the improvements that are being made to make our industry the best it can be. We own several types of equipment that allow us to solve different problems our customers may be facing. From the giant vacuum trucks (for our residential customers) to the state of the art, portable equipment (for our commercial and industrial customers), Amistee has every piece of equipment needed to tackle any job. To be an Amistee partner and have your customers get the “Amistee experience” contact us today at (877) 349-8877.